George Heid III currently teaches Applied Percussion (Drum Studies) at Washington and Jefferson College in Pittsburgh, Pennsylvania, USA and leads his own groups that have toured extensively around the USA and in Hangzhou, China. George has had the honor of performing and/or recording with great musicians such as Roger Humphries Sr., Sean Jones, Warren Wolf, Alton Merrell Jr., Clifford Barnes, Dan Wilson, Theron Brown, Dwayne Dolphin, Henry Franklin Sr., David Budway, Maureen Budway, Jimmy Ponder, Jonathan Batiste, Paul Thompson, Ralph Lalama, Essiet Essiet, Cameron Brown, Steve Davis, Mike Tomaro, Mark Strickland, Eric Johnson, Tony Campbell, Bill Heid, Perry Hughes, Randy Johnston, Don Aliquo Jr., Pete Malinverni, James Moore, Neal Caine and Russ Miller. George’s original group, Elevations, consists of founding members Brett Williams, Benny Benack III, Michael Stephenson and Anton DeFade. Elevations competed in the “2011 and 2012 Next Generation Monterey Jazz Festival” where they placed 1st overall. George was awarded “The Best Solo Performance Award” for the 2nd year in a row. Elevations returned to Monterey in September 2012 and performed on the main “Coffee House Stage” at the 2012 Monterey Jazz Festival. They released their debut self titled album, “Elevations” in March of 2013. George won both ASCAP’s 2013 “Young Jazz Composer’s Award” and Downbeat Magazine’s 2013 “Best Original Jazz Composition Award” for his original composition entitled “Emma Rain” from Elevations debut CD. Elevations released their 2nd CD entitled “To The Stars” on September 18th, 2015. The CD features Warren Wolf and Sean Jones amongst other notable artists. 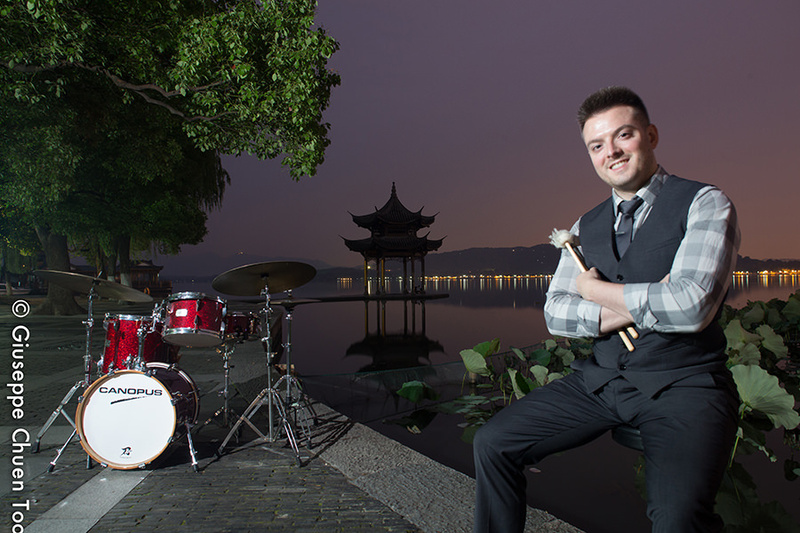 In 2014, at the age of 23, George embarked on his first 6 month residency in China with “The Bill Heid Quartet” (January 1st – July 1st, 2014). The group featured famous Jazz bassist, Henry “The Skipper” Franklin, Organist, pianist and vocalist Bill Heid and vocalist and guitarist Daryl Strodes. The quartet worked seven nights a week at JZ Club Hangzhou. In 2015 (January 1st – April 1s,t 2015) George returned to Hangzhou, China as a leader with his own group “Elevations” for a 3 month residency at JZ Club Hangzhou. The group featured vocalist and Saxophonist – Michael Stephenson, pianist – David Zaks, and bassist – Anton DeFade. The quartet worked six nights a week at JZ Club Hangzhou. From August of 2015 (to present) George became the Applied Percussion instructor at Washington and Jefferson College in Washington, Pennsylvania where he teaches private drum lessons. and more than ten instrumental musicians contributed their talents. George’s second group, The Welcome Quartet, features Trevor McQueen- vocals, Nicholas DeCesare – piano and Miles Jackson – bass. They will perform from July 16th – October 16th, 2017. 18"x14"BD / 14"x13"FT / 12"x8"